Chevrolet Equinox deliveries in the United States totaled 15,261 units in September 2016, a decrease of 29 percent compared to the 21,537 units sold in September 2015. In the first nine months of 2016, sales of the Chevy Equinox have decreased 19 percent to 173,736 units. In Canada, the Equinox recorded 1,637 deliveries in September 2016, down 13 percent compared to September 2015. In the first nine months of the year, sales of the crossover totaled 13,748 units in Canada, a decrease of 7 percent compared to the first nine months of 2015. The current, second-generation Chevrolet Equinox was introduced in 2010, which means that it is now entering its eighth year in production. This makes it the oldest vehicle in its segment, which makes its current sales performance in the highly-competitive CUV space very astonishing. Opportunely, Chevrolet has just unveiled the all-new, third-generation Equinox. Set to go on sale in the spring of 2017, the 2018 Chevy Equinox rides on an all-new architecture (GM’s D2 platform), features an all-new exterior and interior, and is more fuel efficient. The crossover also sheds quite a bit of weight thanks to its new platform while also becoming the only vehicle in its class to offer a turbo-diesel engine. The above also applies to the Equinox’s platform mate, the GMC Terrain, which is also expected to receive a full overhaul for the 2018 model year as the 2018 GMC Terrain. 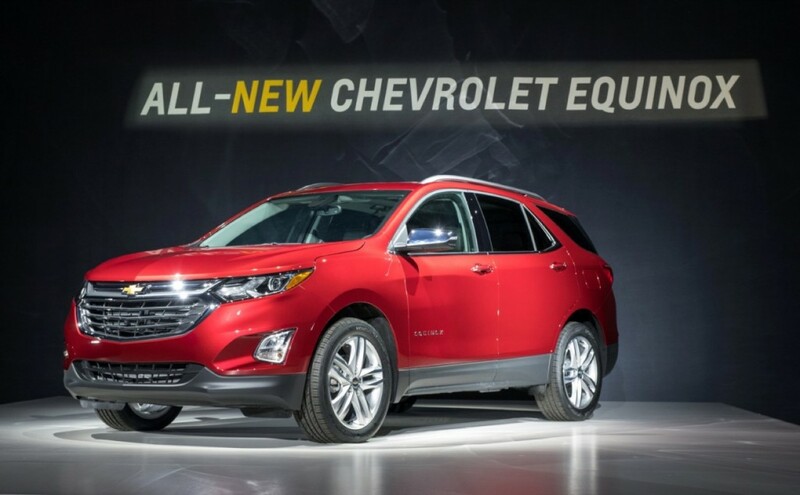 As such, we believe that the introduction of the next-gen Equinox should cause a rebound in Equinox sales volume. Reporting by Francisco Cruz. GM Authority Take analysis by Alex Luft. I own a ’12 Equinox LTZ that has been excellent. No reason to trade up to a ’17 as it is the same vehicle. I am holding off for an ’18 in the spring. They let this vehicle languish for too long. Most people would only consider this cause it was slightly bigger than most compact crossovers.